Addressing journalists shortly after the meeting which was held at the headquarters of the Ministry of Finance, the Director of Funds in the Office of the Accountant-General of the Federation, Mohammed Usman, put the gross statutory revenue received for the month at N478.43bn. This, he stated, was N26.81bn lower than the N505.24bn received in the previous month. 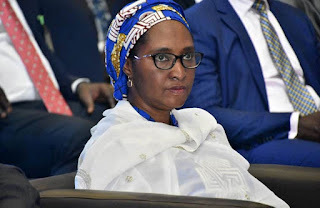 In addition, Usman said, the oil producing states received N50.94bn which was about 13 per cent derivation revenue, while N13.58bn was given to revenue generating agencies as cost of revenue collection.